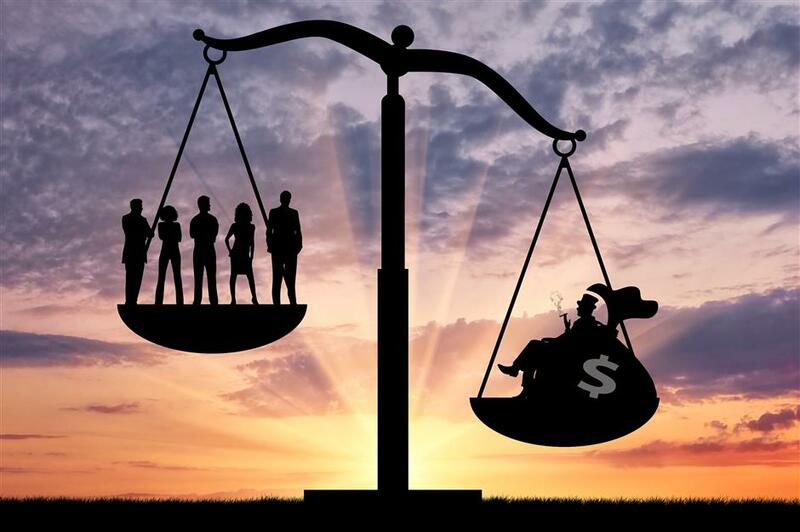 In the United States, in particular, inequality is at its highest since 1928, and GDP growth remains woefully tepid compared to the decades after World War II. After promising annual growth of “4, 5, and even 6 percent,” US President Donald Trump and his congressional Republican enablers have delivered only unprecedented deficits. According to the Congressional Budget Office’s latest projections, the federal budget deficit will reach US$900 billion this year, and will surpass the US$1 trillion mark every year after 2021. And yet, the sugar high induced by the latest deficit increase is already fading, with the International Monetary Fund forecasting US growth of 2.5 percent in 2019 and 1.8 percent in 2020, down from 2.9 percent in 2018. Many factors are contributing to the US economy’s low-growth/high-inequality problem. Trump and the Republicans’ poorly designed tax “reform” has exacerbated existing deficiencies in the tax code, funneling even more income to the highest earners. At the same time, financial markets continue to be geared toward extracting profits (rent-seeking, in economists’ parlance), rather than providing useful services. But an even deeper and more fundamental problem is the growing concentration of market power, which allows dominant firms to exploit their customers and squeeze their employees, whose own bargaining power and legal protections are being weakened. CEOs and senior executives are increasingly extracting higher pay for themselves at the expense of workers and investment. For example, US corporate executives made sure that the vast majority of the benefits from the tax cut went into dividends and stock buybacks, which exceeded a record-breaking US$1.1 trillion in 2018. Buybacks raised share prices and boosted the earnings-per-share ratio, on which many executives’ compensation is based. Meanwhile, annual investment remained weak, while many corporate pensions went underfunded. Evidence of rising market power can be found almost anywhere one looks. Large markups are contributing to high corporate profits. In sector after sector, from little things like cat food to big things like telecoms, cable providers, airlines, and technology platforms, a few firms now dominate 75-90 percent of the market, if not more; and the problem is even more pronounced at the level of local markets. Multiple forces are driving the increase in market power. One is the growth of sectors with large network effects, where a single firm can easily dominate. Another is the prevailing attitude among business leaders, who have come to assume that market power is the only way to ensure durable profits. Some US business leaders have shown real ingenuity in creating market barriers to prevent any kind of meaningful competition, aided by lax enforcement of existing competition laws and the failure to update those laws for the 21st century economy. As a result, the share of new firms in the US is declining. Moreover, on the supply side, market power weakens incentives to invest and innovate. Firms know that if they produce more, they will have to lower their prices. This is why investment remains weak, despite corporate America’s record profits and trillions of dollars of cash reserves. And besides, why bother producing anything of value when you can use your political power to extract more rent through market exploitation? Political investments in getting lower taxes yield far higher returns than real investments in plant and equipment. Making matters worse, America’s low tax-to-GDP ratio means a dearth of money for investment in the infrastructure, education, health care and basic research needed to ensure future growth. These are the supply-side measures that actually do “trickle down” to everyone. The policies for combating economically damaging power imbalances are straightforward. Over the past half-century, Chicago School economists, acting on the assumption that markets are generally competitive, narrowed the focus of competition policy solely to economic efficiency, rather than broader concerns about power and inequality. The irony is that this assumption became dominant in policy making circles just when economists were beginning to reveal its flaws. The development of game theory and new models of imperfect and asymmetric information laid bare the profound limitations of the competition model. The law needs to catch up. Anti-competitive practices should be illegal, period. And beyond that, there are a host of other changes needed to modernize US antitrust legislation. Americans need the same resolve in fighting for competition that their corporations have shown in fighting against it. Joseph E. Stiglitz is University Professor at Columbia University and the 2001 recipient of the Nobel Memorial Prize in Economics. Copyright: Project Syndicate, 2019.